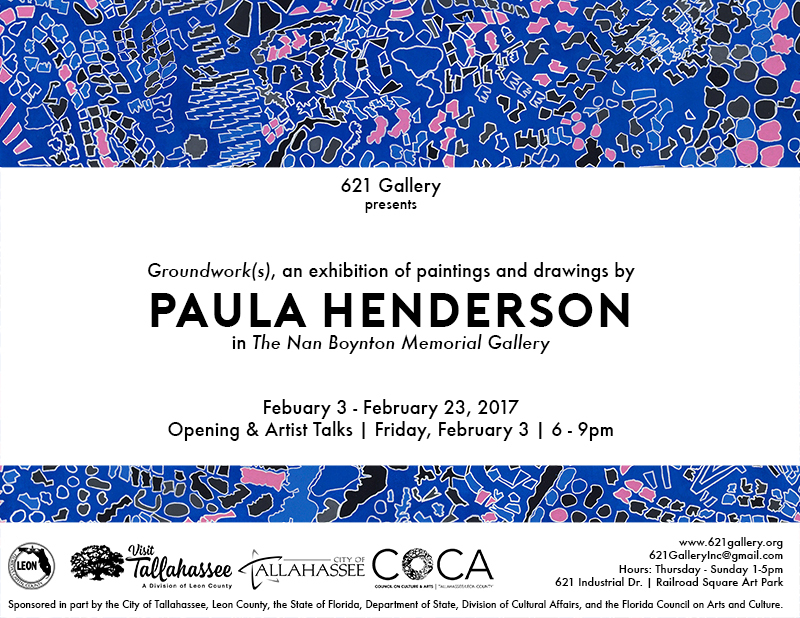 This February, 621 Gallery is excited to present an exhibition of photographs from artist collective Fountain of Pythons (Tampa, FL) in the main galleries as well as works by Paula Henderson (Chicago, IL) in the Nan Boynton Memorial Gallery! 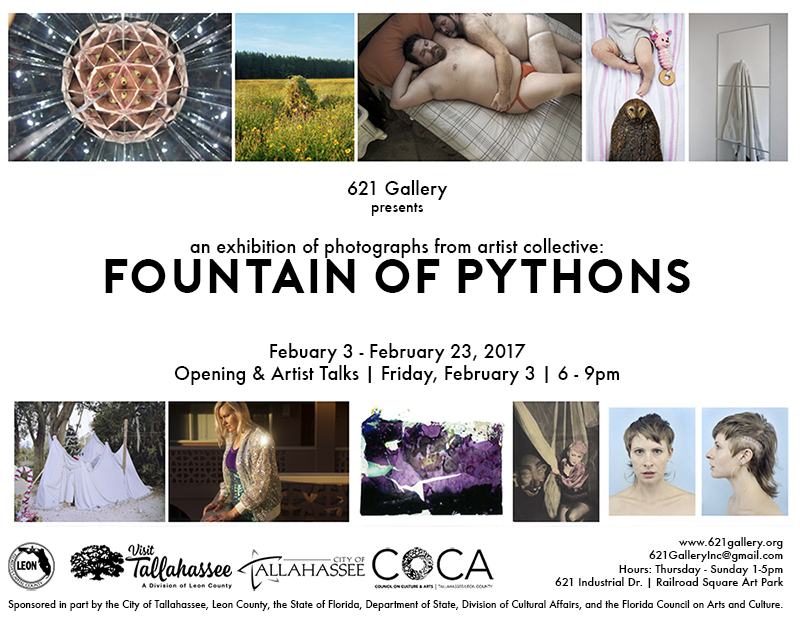 Fountain of Pythons is a photography collective consisting of Tampa based artists and diaspora. Current members include Wendy Babcox, Jeremy Chandler, Marcus DiSieno, Becky Flanders, Forrest MacDonald, Noelle Mason, Chris Otten, Kym O’donnell, James Reiman, and Selina Roman. Our mission is to provide a regular forum to incubate, discuss, and share new works, knowledge, and resources in support of each individual’s studio practice, as well as to build a foundation for collaboration, exhibition, and engagement of the public with the fruits of that practice. I work by project-series of paintings and drawings, which variously reflect my interest in social dynamics and art history. With the recent series Groundwork, I return to my ongoing interest in abstraction within a post-modern framework. In contrast to the self-contained formalism of modernism, I focus on prosaic, schematic patterns of formal appeal that operate simultaneously as social signifiers. Here, specifically, I utilize the distinct patterning from the soles of shoes to think about the very particularity and variety of design that goes into the literal marking (and marketing) of our movement on the ground. I record these patterns as I find them, oftentimes a chaotic mix of partial prints and in other sites ordered, discernable designs. This manufactured residue that marks us routinely across space in time, though on the one hand quite ordinary, fascinates me as vestigial configurations of our collective history. For more information, please visit 621 Gallery’s Facebook event.